Coastal is a leading provider of treated garden Landscape Timbers. 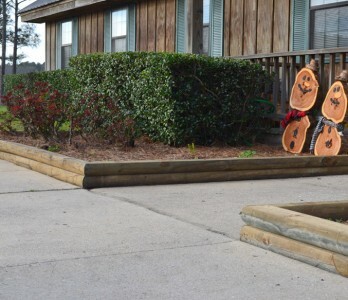 All of the Landscape Timbers are pressure treated with an approved wood preservative to the point of refusal, which is a non-specified treatment that does not come with a warranty. 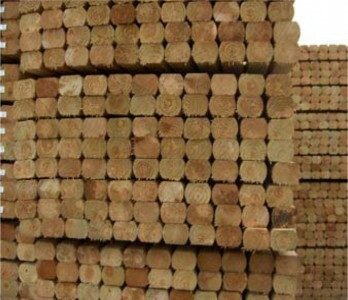 This is a very economical and popular Landscape Timber product that can be found at many of the large retail home centers in the U.S.
Landscape Timbers have a net size of approximately 2¾” x 4″ x 8′. This product is best used for driveway, flower bed, and garden edgings and is not recommended for use as a fence post.